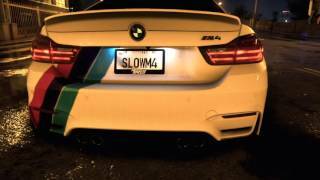 Vorsteiner is one of the most radical tuning companies out there and in case you're a BMW fan you're going to love this. 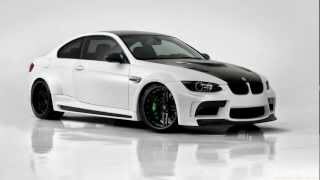 After the tuning company has unveiled the GTRS 3 BMW E93 M3 not long ago it appears that they've also created a new tuning program for the E92 M3 in order to commemorate its retirement. In essence the Vorsteiner BMW Limited Edition GTRS 5 Wide Body 2012 is quite similar to the GTRS 3 and it clearly received the same attention to details but comes with its own distinct characteristics. Although it's difficult to comprehend, the new GTRS 5 looks even more aggressive when compared to the GTRS 3 despite the fact that it hasn't received any radical aesthetic changes. Nevertheless the body parts are completely different from the GTRS 3 and it's not only for looks, but for increase performance and improved functionality as well. Additional vertical vents designed to increase airflow are to be found on the front bumper whilst at the rear-end the bumper cover integrated diffuser has been reshaped and features longer aero fins that will further increase downforce. Furthermore, vertical vents with carbon fiber inserts have been carved on either side of the rear bumper, a feature that was missing from the GTRS 3. In addition the new Limited Edition also comes with a new set of Vorsteiner VS-310 3-piece concave forged aircraft aluminum wheels mated with Nitto Invo performance tires. The list of key components included in the GTRS 5 tuning program also includes carbon fiber wide arch front fenders and wide arch rear quarter panels, carbon fiber extended side skirts, Vorsteiner chrome trunk badge emblem and Vorsteiner embroidered floor mats. However the new package offers even more in the list of optional extras. If you wish to go all the way with this tuning package then a GTS 3 carbon fiber vented race hood is also available, alongside a GTRS 3 carbon fiber boot lid and an E9X M3 titanium sport exhaust system delivering a sporty soundtrack while tremendously saving weight. 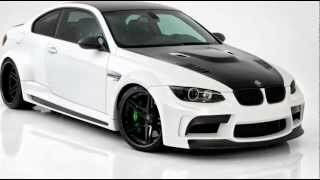 Unlike the GTRS 3, the Vorsteiner BMW Limited Edition GTRS 5 Wide Body 2012 comes with a two-tone color scheme that combines black and white alongside exposed carbon fiber elements and green brake calipers. Only 40 units will be produced worldwide so this particular tuning program from Vorsteineris a true homage to the E92 M3.